It seems fairly logical that if you walk everywhere, you're probably driving less. But even as I've been on something of a Fitbit kick since early 2012, I've reached even higher highs in the last month-plus, and increased my daily goal to 15,000 steps (from 12,000), thanks to one simple change - opting to leave my car at home each workday and benefit from one of Google's most visible perks, taking the company shuttle. 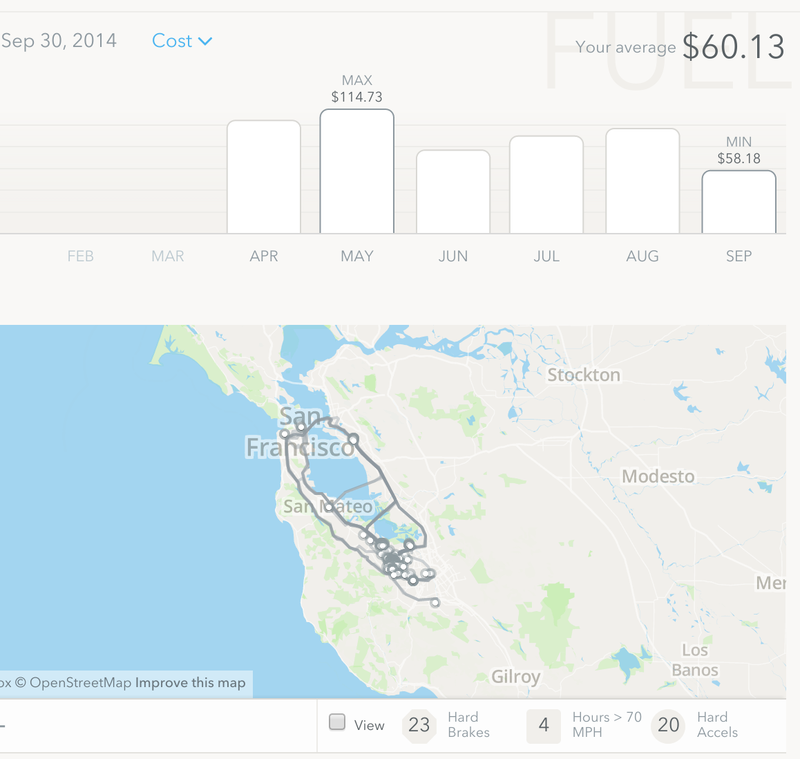 Looking at the data from Automatic, my dashboard shows I'm on pace to have set a new low for both miles driven and money spent on gas, this month, a full fifty percent below previous months. And even without the aggressive late evening walks I was orginally doing when losing my extra weight at the end of 2012, my step counts are up more than 30 percent from just a few months ago. You might think that's not worthy of a blog post, but the available data, and correlation from this simple life change is easy to document. Prior to taking the shuttle, my routine was fairly simple. I'd walk the twins to school, drive to work, walk a bit to lunch and do usual scurrying from meeting to meeting, and get home well short of 10,000 steps. To hit my target of 12,000, I'd still have to head out at night and get the steps in. But now, after walking the twins to school, I head back home to get the laptop, and walk the mile plus to the nearest shuttle stop instead. 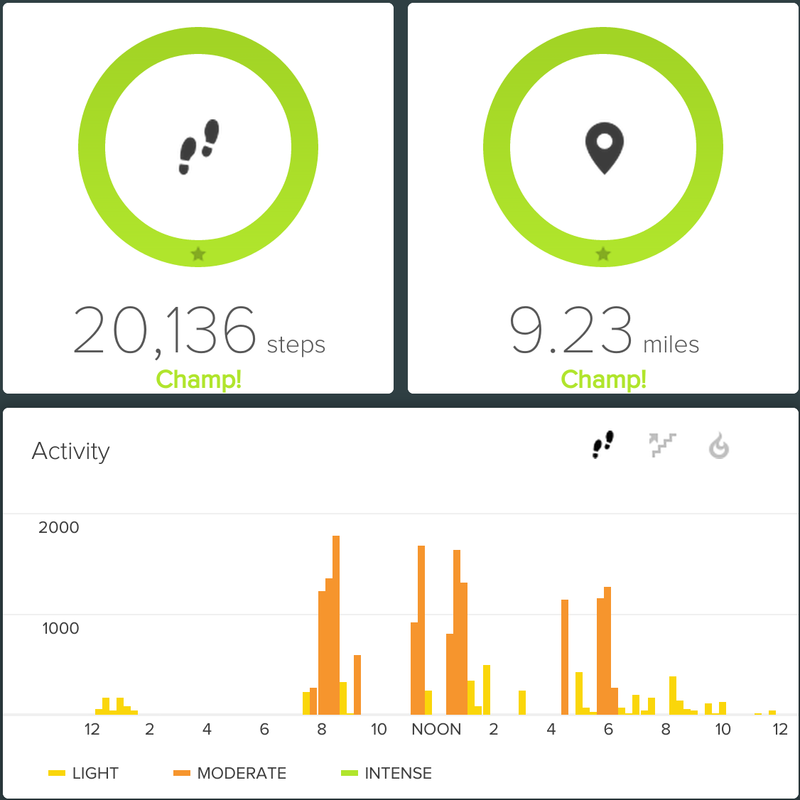 I work on the shuttle until reaching campus, and by the time I'm at my desk, I've racked up 5,000 to 6,000 steps. I can easily hit 10,000 after walking to and from lunch, and by the time I head home, I'm close to 15,000 steps - good enough for reaching my higher goal. And if I want to head out, be it to walk our dogs or play with the kids or anything else, I'm just padding on, getting closer to 20,000 without too much effort. Hitting 20k on Fitbit isn't an ordeal with a new shuttle routine. Meanwhile, my poor car is sitting neglected. Instead of driving into work and doing battle with other Bay Area commuters, the shuttle driver is escorting me (and my colleagues) while I catch up on email, keep our social channels updated, and generally get my first 20-30 minutes of work in - while I'd probably just be listening to the radio and stuck in traffic on the old routine. When I first got the Automatic dongle back in April, I was intrigued by it catching me going too quickly or doing other bad behaviors while on the road that might cut into my gas mileage. But with few exceptions, the occasional chirp hasn't really impacted me. If I'm on 280, I'm going to drive over 70. It's what the road was made for. And if I'm driving to an A's game in Oakland, there's no question I'll have to hit the brakes occasionally, to avoid making traffic worse. But having the accumulative dashboard is even more valuable. I'm not at the point where I'd consider getting rid of the car, and sharing my wife's minivan, but there are some weeks where I might not even start the car. Google Shopping Express handles almost all our shopping, and we can walk almost everywhere else. 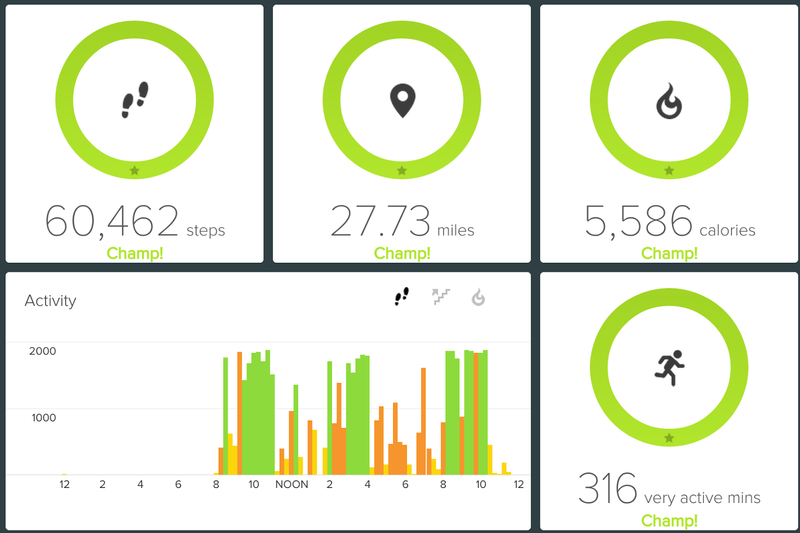 Earlier this month, I hit 60k steps, a new record. Some day I'll get 100k. Meanwhile, in Fitbit land, thanks to being pretty consistent about promoting this socially connected pedometer for the last two-plus years, I'm continuing to enjoy the daily and weekly competitions, literally around the world. +Thomas Power in London is now tweeting his daily step counts, and harrassing me if I fall behind. In something of a response, a few weeks back I made walking an all day thing, and hit a new personal best of 60,000+ steps. It just took walking on the treadmill while watching TV, and then a stroll to Mountain View after the kids were in bed. It was to prove I could do it, and put the rest of my competition in their place. No car was needed. The new goal? Some day I'll hit 100,000. I just need to get a free day from my wife, and walk around the clock. So if you're looking for me, I won't be in the car. Find me on Fitbit instead. Five or so years ago, the idea that one of the most visible bloggers would walk away from their website and completely move their presence to a third party network would have been a step short of scandalous. In fact, when top bloggers even took a month or two off before rejuvenating, that in itself was news. (See from 2007: Are Leading Bloggers Getting Blog Fatigue? and Robert Scoble's response) When the well-read and highly networked Jason Calacanis exited the blogging game in 2008, we all talked about it. When PR lead Steve Rubel deleted his blog in 2011, I was not happy. For many, the allure of instant feedback on social networks, and simple quantifiable levels of engagement are enough to call in quits on longer form content. When a much labored blog post can only score a handful of comments (if any), and a fun tweet gets dozens of retweets and favorites in minutes, or a Google+ or Facebook post has a deep conversation, the return on investment can have you wondering if blogging is even worth the effort. Last month +Robert Scoble finally abandoned his blog, which, like mine, used to be a lot more active and engaged than it is now. Yet few people noticed. His choice is to primarily engage on Facebook, and continue a presence on Twitter and Google+. And it's no longer controversial. In parallel, ten years into +Charlene Li's blogging, she writes, "You just can’t beat the engagement that social media platforms provide, something that blogs on their own can’t do." It's not as if this is a sudden change, obviously. Blogging was (after bulletin boards and newsgroups) the first deep channel one could have to report news, talk to peers and engage with brands on the Web. But when Facebook, Twitter, LinkedIn and so many other social streams emerged, people learned to communicate in real time. By the time blog posts were published, and traveled via RSS to your attention, you might already have seen the news somewhere else. In effect, social media decimated blogging in the same way that the Internet decimated newspapers. Speed wins practically every time. Just a few years ago, it'd be easy to say "Your blog is your brand (2007)", or, later adjusting, that "Blogging is the foundation in a world of streams (2009)". I still believe deeply in the second part, that all those tweets and social streams have to point somewhere, and if it's not an ad, then it's back to your blog. The rest is just real time noise that is interesting one minute and gone the next. The blog is the place where you can exchange deeper discussions, and the posts live on forever. 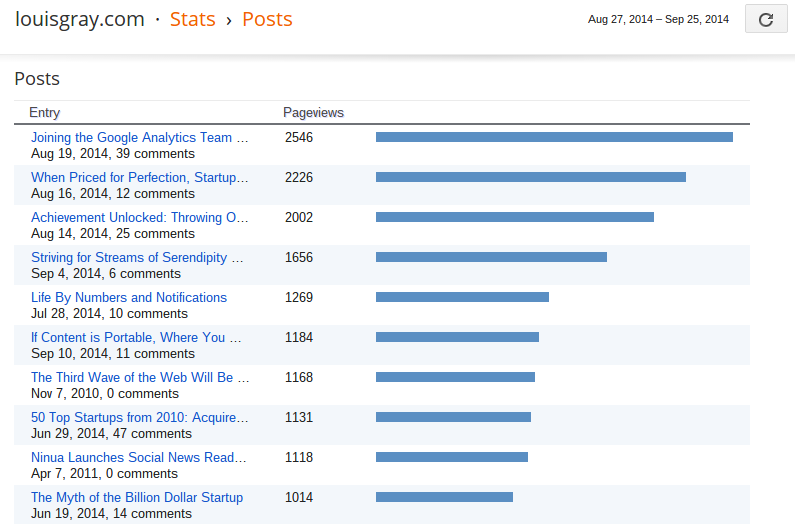 Blog posts I made years ago still get thousands of visits a month. So what of the perceived decline in readers to blogs that once saw incredible attention? Like in the TV world, where one now has hundreds of specialized channels catering to every interest, which has dramatically impacted traditional network market share, the Internet has many more content outlets to choose from, for practically anything you want. You name a topic, you can find a community for it. And entertainment and soft content are winning, just like they do on TV. People love to be entertained, so even the purported news networks like Business Insider, Mashable and Buzzfeed take a tabloid approach and cater to the lowest viewer - tantalizing and teasing their way through your day. My good friend and colleague on the +Google Analytics team, +Adam Singer, recently took on the disappearing blogs topic in a column for ClickZ, responding to a Marketing Land post on declining blog use for the first time in seven years. His takeaway echoes what I will constantly report: The best analysis is done for your own domain, you don't have to fight with social networking algorithms on whether your content will make it to viewers, and you own your space - the way it looks, your template, and your message. In 2011, when Google+ just started, some high profile people said they were walking away from their own self-hosted domains and just redirecting to their Google+ profile, which was flying with comments and +1s. I warned against this move, saying "I Gave Away My Web Identity. All I Got Was a T-Shirt." Even when the product you're pointing to is high quality, it's very unlikely a stream-oriented product can match the quality and depth of longer form content that belongs to you. Having a choice in destinations for your content is important. But it's not just enough to engage in other places. You have to tailor your message for each media, and the blog is still your best container to own your brand and your content for the long term. I regularly end up citing stories I wrote 6-8 years ago, and they still hold up. But good luck trying to find a tweet of yours or another social post from 4+ years ago and saying it has the same solid validity. So while I respect +Robert Scoble and others for adapting to a new world and making a tough call, I think we've lost a lot of good voices and deep thought for a quick fix. Disclosures (per usual): I work at Google, who is behind the Blogger platform (which I use), Google+ and Google Analytics. I do have active profiles on Twitter and Facebook and LinkedIn, of course. While much of the world isn't all that sympathetic to the concerns of a relatively well-off Bay Area population that is home to some of the most successful tech companies on the planet, there's a clear and increasing separation of the exceptionally comfortable (read: rich) group, and those being squeezed by a higher cost of living that is rapidly outpacing any kind of increase in income. As I wrote just over a year ago (See: DINKs vs SITKOMs and Other Family Finance Disasters), Bay Area housing costs are putting incredible pressure on families who haven't been lucky enough to partake in an IPO or acquisition (or two). Neighborhoods that seem average can be shockingly full of homes valued well over a million dollars, putting mortgages well out of reach, and rents continue to skyrocket. For those who already own a home, this can be a great source of comfort, but for those on the outside looking in, the circumstances aren't getting any better. My proposed new term: Zillowionnaries. This summer, a home with an identical floorplan to our own went on sale, and spent less than two weeks on the market before a bid was accepted. Curious, given the continued balloon in costs in our neighborhood, I awaited the final results. 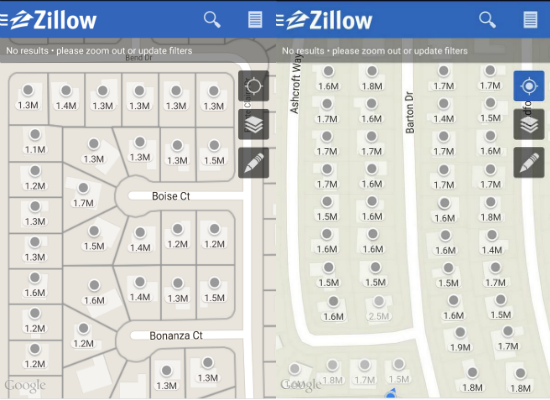 Eventually, Redfin and Zillow updated to show the home had gone for $626 a square foot, 52% higher than the $412 a square foot my wife and I paid when we bought our home just four years ago. The buyers, unsurprisingly, have two working parents - one employed at eBay, and the other at Google. They could afford it. But being a single income parent, it's pretty unlikely that I could afford to move into our own neighborhood today. I'd be priced out. Even a two bedroom, one bathroom home with 1,160 square feet can clear $1.1 million on the asking price, thanks to location, and a sizeable lot. Having worked in Silicon Valley since 1998, I've seen the rise and fall in the economy following the first dotcom boom, the 2001 recession following the 9/11 terrorist attacks, another recovery and the bank and housing collapse in 2008 and 2009, which saw many people, even in the Bay Area, underwater. But the rise and fall of property prices hasn't kept the trend steady. For example, the two bedroom, two bathroom apartment I shared with a roommate from 2000 to 2002 initially cost $1,350 a month. It rose to $1,950 during our stay there, and just a decade-plus later, is now $3,519 a month. That's a 161% rise from our $1,350 mark, and 80% over our top price, which was a direct reaction to demand from dotcom money chasers. For those lucky enough to have been in the right place at the right time, the rise in property assets outstripping cash assets can be a funny thing. Why aren't there opportunities out there to sell equity in your home, and take the cash to pay off your mortgage? The buyer would retain percentage ownership, and have the option to sell the share to another buyer, or wait for the entire unit to be sold to cash out. Assuming a continued rise in prices, the partner would make money on the final transaction, and the current owner would save money through eliminating interest payments to the bank. And there's always selling at a perceived high point and high tailing it to a lower cost state or community, in exchange for reduced access to the go-go Silicon Valley network and economy. It's pretty nuts. 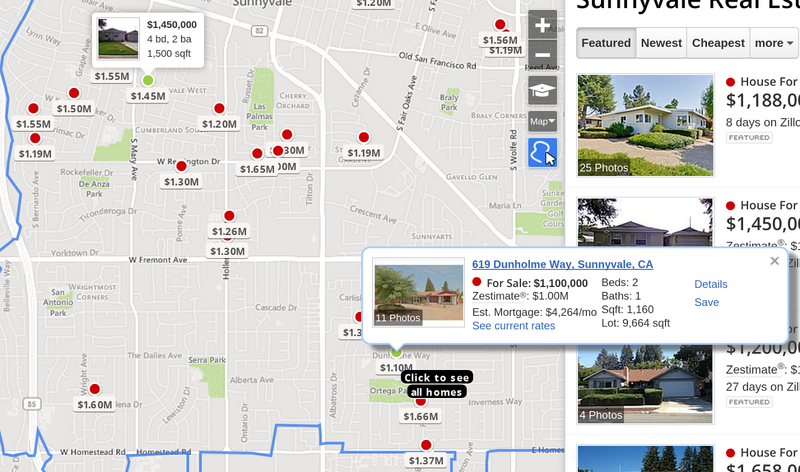 I can basically open the Zillow app practically anywhere in Mountain View, Palo Alto, Sunnyvale, Cupertino, Menlo Park and Belmont and not have to confront properties with the dreaded K. But the high price of living comes in exchange for higher chance at bigger success. You have to be in the game to win the game, even if the stakes are incredibly high. Everyone's a cynic. Or at least it can often seem that way, when the concept of 'balanced' reporting means to find the gray cloud for every silver lining, giving equal weight to unequal issues or looking for ulterior motives from well intended people who genuinely find value from products, groups or communities. Many years ago, I made a decision to use my blog for good and not evil, per se. I recognized there was little value in tearing things down, and that my readers and I would benefit more from a series of highlights than a trolling muckery through half-finished products and half baked business models. (See: Does Negativity Deliver Credibility? If So, That's Nuts.) There are enough good companies and good products that you can showcase the very best - something I've gotten even tighter at since reducing my regular posts here to something less frequent. But when I do find something I really enjoy, and use regularly, I want to tell you about it, and that position is a genuine one. I want you to see the same benefits I do, and give the company or service more users, improving their chance at success, and extending the network effect, which often brings me value. As +Mark Hopkins said back in 2008, regarding my consistency: "Forget product evangelist. When he likes something, he's a one man crusade." This weekend's Twitter discussion about sponsored posts. In a world where many people are using their streams to promote self interests, be it their companies, their stock investments, or pimping their latest book, I'm hyper aware of being trusted. My posts aren't sponsored. So this weekend, after highlighting MightyText, a personal favorite app I helped unveil and have since covered regularly, one Twitter user snarkily suggested the update was an ad, or sponsored. And that's annoying. With Twitter being at times overrun by self-promoters and shillers, it's no good to be lumped in with the dreck. I use MightyText daily because it's an exceptionally fast way to text from my computer or tablet. I switched to Android more than four years ago because I was very happy with the product's direction and the wealth of choices available compared to iOS, let alone Blackberry or Palm. My preferring one over the other doesn't mean that your choices are bad or that I wish ill on anyone who has selected an alternative. It's just what I prefer, and I'm more than eager to tell you why. If you're pushing products you don't actually care for, you're in danger of losing the trust earned with those in your community. Sonos and Spotify made sense to me right away. ChromeOS was alluring and is now my go to OS all the time. I've been a happy eTrade user for 15 years. Sunrun and Rachio are saving me money and helping the environment at the same time. The list of brands I've interacted with that I can point you to are many. But it's not because I have hollow self interest. If I did, you could wait to see my disclosures. That's what they're for. Disclosures: I work at Google, which in some ways competes with Sonos in hardware, Spotify in software and MightyText for messaging. But I still love those products. 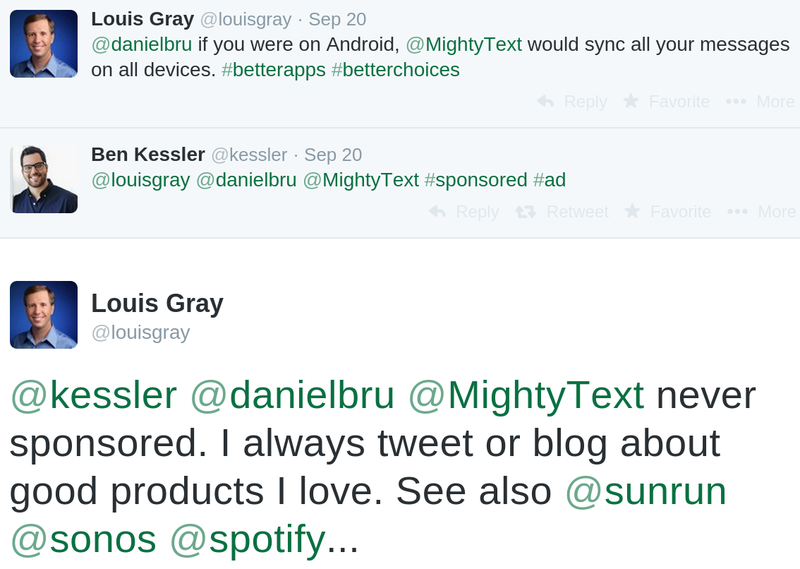 And Sunrun has a great referral program. But that's not the point. California, and much of the Western United States, is in the midst of an incredible drought. But despite the dire warnings to stop wasting water, most sprinkler systems are still pretty dumb, or are just too obtuse and challenging to operate, putting homeowners on the wrong side of conservation. Rachio, which makes a smart, good-looking system you can schedule with a mobile app, just told early users, myself included, that their combined efforts saved more than 10 million gallons - more than a drop in the bucket. Unfortunately, in our home, we know we're higher on the end of water consumption than we'd like to be. Our three kids need baths far too often, and we do our unfair share of laundry and dishwashing. But through heightened awareness of using less water, and our own switch to Rachio, we've been able to cut down our water usage forty percent year over year, and are down 60 percent from just two years ago. We've dropped our water consumption 60+% in 2 years, and 40% year over year. Like our move to Sunrun for solar energy, we'll never be perfect, but we're doing better for the environment, and for our wallet. 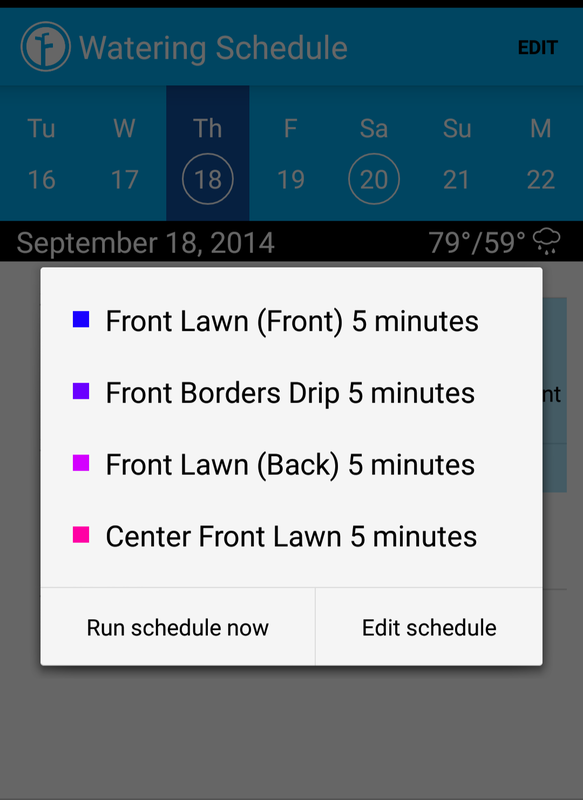 In our bimonthly statement, by switching from a dumb sprinkler system to Rachio, we've already saved more than $100. Two to three more months of savings like that, and our Rachio has paid for itself, in addition to being easier to schedule and just plain looking better. If you believe this drought is going to continue, or expect that sunny days are going to greatly exceed rainy ones for the near future, there's really two major moves you could adopt to take advantage of it. First, make energy from the sun that's hitting your house anyway, and second, stop using all that water. If you must use your sprinklers, do so sparingly, and overnight, when it's more likely to have impact and not evaporate. You won't catch ours running during the day and spilling into the gutter - thanks to Rachio. My good friend and colleague +Adam Singer lit a thought bubble with his latest rant against the dumb pipe of television, saying the formulaic, reality show centric content there is no longer palatable to generations growing up with many more choices - dominated by the on demand, everything's available alternative of the Internet. The summary, he says... is that who actually watches TV is "the old", backed by data from the Washington Post echoing the same. The argument that the Internet is supplanting TV is one that can't be denied outright, but I believe it's the wrong discussion. What's happening is that the consumers wield incredible power in terms of deciding what they want to watch, when they want to watch it, and where they want to consume it - thanks to dramatic developments in on demand libraries like Netflix, YouTube and others, content destinations, including the smartphone, tablet, and PC, in addition to the TV, and, yes, the humble DVR, which extended the first volley from the VCR (remember those?) and timeshifted our entertainment to take place whenever we wanted it, not when it first aired. I agree 100% with Adam that a good chunk of the content that fills TV's many channels is low quality stuff that has no redeeming educational value. Then again, the same could be said for much of the Internet and the many social networks we all participate in. Humans love turning their minds off and being entertained. I prefer to not watch reality shows and soap operas, but I do watch TV for live events, and have a list of serial dramas that I watch with my wife - in addition to late night fare like The Daily Show and Conan O'Brien. One taking a pro-Internet vs TV stance could say, wait. You can watch The Daily Show or Conan online after they air, just like you watch them on your DVR. Sure. You could also, assuming Major League Baseball lets you, watch streaming games live on your tablet through their app. And you can now watch many of those comedies or dramas the same day or later through various network-led outlets online, or on Hulu, YouTube, Netflix, iTunes or some other place. And at that point, I think the conversation changes. If you're watching The Daily Show online instead of on TV, you've just changed the destination screen, but are still watching the same content. If you're watching a movie on your tablet instead of on your TV, again, you're watching the same content - and the content producers are still bringing you value, whether you're watching on a 5 inch screen or a 50 inch screen. As an individual, what I've observed in the last decade or so is that as traditional network television has taken fewer risks with their content, and tapped into a soft pudding of reality shows and 24 hour gab events, the premium cable networks are the ones that have delivered an overwhelming amount of perceived high quality content. From Breaking Bad to Dexter, Homeland, The Killing, Ray Donovan, and others, I'm spending a lot more time watching content on AMC, HBO and Showtime than I do on the stalwarts of ABC, CBS and NBC. And I'm paying them money for the privilege. The success of shows like Breaking Bad on AMC has seemed to lead quickly to top-notch shows like House of Cards and Orange is the New Black skipping the TV route altogether and debuting on Netflix. Netflix marries the quality of premium channels with Internet delivery and on demand, which the new generation likes - leading to binge watching instead of scheduled consumption. But my enjoying those shows instead of reality tripe on network TV doesn't mean the Internet has won. After all, if House of Cards were to be the exact same, only on CBS, I'd still watch it. When I'm making a decision on what to watch, I'm not selecting the show due to any loyalty to a network, a medium or a device. I'm watching it because I want to be informed or entertained. If the only way I can get live sporting events is on my television, that's where I will go. If the only way I can get House of Cards is on Netflix, that's where I will go. I never bet against the Internet. I have long been a huge advocate of migrating from analog to digital, and bringing content on demand - all of it - to be available any time anywhere. But it's not a contest to consume on one screen instead of another - even if it makes me seem like an old fuddy duddy. Disclosures: I work at Google, which loves the Internet, and owns YouTube.